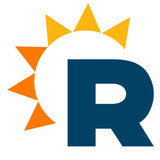 Renu Energy Solutions is a locally owned and operated, full-service solar installer. Our mission is to help you take control of your energy future. Is solar right for your home or business? Take advantage of our no-obligation solar consultation to find out today! smart. reliable. solar. Final Clean is a damage restoration and carpet cleaning contractor serving the Charlotte, NC area. Services include Water Damage Restoration, Emergency Water Removal, Dry Out Services, Burst Pipes, Frozen Pipes, Toilet Overflow, Sewage Cleanup, Water Heater Leak, Flood Damage, Mold Removal and Carpet Cleaning. 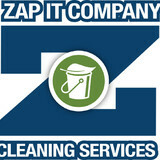 The experts at Zap It! Pressure Washing are proud to provide all-star power washing and exterior cleaning services to clients throughout North and South Carolina. Based in Charlotte, our pressure washing company helps to improve curb appeal for residential and commercial clients in our service areas. Those black streaks on your siding or roof are much more than simple dirt. They can be foreign contaminants such as mold or mildew, living and growing on your property’s exterior. By regularly cleaning your building’s exterior and concrete surfaces, you maintain your structure’s integrity and curb appeal. Let our Charlotte pressure washing professionals help! Has your home been damaged by an environmental problem such as water or mold? Has it leaked into your walls and damaged your insulation? We know that dealing with the damage can be tough, but you’ll be glad to know that our insulation contractor can help get you out of a sticky situation. At Carolina Crawl Space Care we specialize in finding and remediating mold in your crawlspace and attic insulation. On top of dealing with mold remediation, we offer sump pump service, and other restoration services. In any unfortunate situation that could affect your building, you’ll know that we’ll be able to get your property back on it’s feet with our professional insulation replacement. To prevent mold from growing in the first place, we provide vapor barrier installation. This will prevent moisture from seeping into your crawlspaces and will keep mold from sprouting. 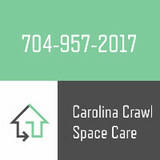 If you’re looking for damage restoration services in the Charlotte, NC area, give Carolina Crawl Space Care a call. We’ll be there in your time of need. We’re your local source for gutter, siding, patio and deck cleaning in the Charlotte area. Our effective and environmentally friendly three-step process lifts built-up outdoor dirt and grime to the surface and washes it away, leaving your outdoor living spaces not only clean but also protected. Rainbow International of Greater Charlotte is the area’s first choice for professional full service home and commercial restoration including: board up and tarp over services and content pack up. If you are experiencing water, fire, smoke and/or mold damage, give us a call. We are available 24 hours a day 7days a week so you can avoid costly secondary damage. Our professional emergency crews use the most advanced equipment and technology to deliver the very highest standards in restoration and cleaning. We are dedicated to providing our customers with a quick and smooth recovery. Give us a call today, we are ready to help you. Mission Restorations has an experienced team on call 24 hours a day, 7 days per week including nights, weekends and holidays. In the event of an emergency (water leak, fire, etc. ), please call us and one of our friendly technicians will be dispatched immediately to assist you. Our friendly, uniformed technicians will provide you with the most prompt, professional restoration services in Charlotte, NC. If you are in need of a quality restoration company with a reputation that is unmatched, Mission Restorations is the only choice. Mission Restorations has an experienced team on call 24 hours a day, 7 days per week including nights, weekends and holidays. In the event of an emergency (water leak, fire, etc. ), please call us and one of our friendly technicians will be dispatched immediately to assist you. Our friendly, uniformed technicians will provide you with the promptest, professional restoration services in Charlotte, NC. If you are in need of a quality restoration company with a reputation that is unmatched, Mission Restorations is the only choice. We can answer any questions about your home or commercial building, and walk you through the entire process. Although we work with every major insurance company, we you as the property owner are our client. We help you navigate the insurance claim process and work together to ensure you get exactly what you need. We can assist you with damage caused by water, fire, smoke, mold, and other natural disasters such as storms. In addition to being Charlotte's #1 restoration company, we also believe in giving back to the community. We donate a portion of our profits every year to important charities such as the Wounded Warriors, NC Firefighters Fund, National Fallen Firefighters Foundation, Hire Heroes, as well as contribute towards scholarships for our veterans and their families. Our goal is to provide quick and efficient service for you, your family, or business and have a positive impact on our customers, our employees, and our community. Sedona Waterproofing Solutions is a company that prides ourselves on helping people live better, healthier lives by getting the most out of their homes. Our methods are energy-efficient and save our customers time and money in the long run. You can feel confident that we will find the right solution the first time, allowing you to walk away with peace of mind that you are in good hands. Hepa Air Scrubber Rentals of Charlotte NC & Red Sky Rentals provide comprehensive equipment rental solutions for all of your immediate disaster, water damage and fire restoration needs nationwide. Our portable air scrubbers are ideal for homeowners and contractors dealing with the effects of fire, smoke or water damage. We can quickly provide the disaster cleanup and remediation equipment you need anywhere in the Charlotte NC & surrounding areas! We are Green Home Solutions of Charlotte. We are a new, family owned and operated company with a focus on effective, affordable, natural and most importantly SAFE home solutions for mold, mosquitoes, odors and allergens. As a family business, we know that nothing is more important than protecting your loved ones from all the dangers of the world and we are here to help! We specialize in protecting your family (including your furry ones) from disease carrying mosquitos all summer long. We also offer all GREEN solutions to your indoor air quality concerns. If you have issues with dangerous mold, annoying allergens, or unpleasant odors we have a solution for you! We aren’t the only ones providing solutions to these issues, but we are the first focusing on doing it the safe and effective way! Green Home Solutions is the pioneer to a greener and more affordable way of living and we can't wait to serve you. If your life is impacted by any of the issues here give us a shot first, you’ll be glad you did. SERVPRO of Northwest Charlotte provides 24-hour residential and commercial services. As a locally owned and operated business, we're dedicated to being faster to any size disaster, with the training, equipment, and expertise to handle your water damage restoration, fire damage restoration and cleaning needs. Contents Restoration Services specializes in cleaning, restoring, storing and packing in & out your home when damages have occurred from water, fire, smoke or mold. This also includes cleaning and restoring of clothing and drapery. We also provide moving and packing services for any home improvements and remodeling. Another of our specialties is cleaning area rugs/carpets and upholstered items. Water Mold & Fire is who the people of Charlotte turn to when their home or business needs water damage restoration, mold removal, or fire damage restoration services. Our company is standing by 24 hours a day, 7 days a week, 365 days a year to make sure we are available when you need us most. These problems often happen when least expected, so it is important to have immediate response available to avoid even bigger problems down the road. So if you are currently experiencing these types of issues in or around Charlotte at your home or business, give us a call. All About Energy Solutions is a energy efficient home improvement company that takes it's customer to the College of Energy Knowledge and teaches them how to lower their energy bills. From all types of Insulation and LED Lighting to Window Tinting and our Reflective Foil Radiant Barrier, we have your money saving solutions. The company offers a free 12 point energy analysis inspecting everything from your crawl space to your attic. I recently received a testimonial where the customers average bill before we started was $275. 13 months later her highest bill since the install was only $141 with an average bill of $120. Solar could not have done that for her. All About Energy Solutions is coming up on the end of its 3rd year in business with a 37% increase in sales from last year. Having served our country and now a proud Veteran our company slogan is "Increasingly GREEN, but always RED, WHITE and BLUE!" 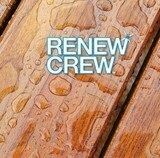 ASR is a customer service based restoration company that truly wants to help you get back to your normal life. Dealing with damage in your home or business is stressful enough so we are there to help put the pieces back together. From the time you notice a problem until everything is good as new, we are there to help. Our years of experience in the construction field along with extensive knowledge of the current water mitigation, demolition and rebuild techniques will allow us to complete your project in a timely manner with as little disturbance to your daily life as possible. When damage happens, ASR is there to help. You’d want to hire a North Carolina environmental and restoration company to safely remove mold, or to rebuild after a fire or flood. Unlike normal renovation professionals, a restoration company will often start by securing your home and possibly removing dangerous contents before beginning any repair work. Most environmental damage is caused by water, fire or wind, so you’ll want to choose a North Carolina restoration professional with experience in one or all of these areas. What about mold remediation? Mold remediation is the process of removing mold safely following industry protocols. Special training, equipment and licensing are required. Make sure you are working with North Carolina certified, licensed and insured professionals who guarantee and warranty their restoration work. Older homes needing restoration may have lead paint on walls, doors, windows and windowsills. Lead that gets disturbed by sanding, cutting or replacing old windows can create hazardous lead dust. If your North Carolina home was built before 1978, you’ll want to find restoration professionals with experience and training in lead-safe procedures. Find environmental services and restoration professionals on Houzz. Narrow your search in the Professionals section to Charlotte, NC residential environmental testing and home disaster restoration services to find a list of qualified professionals. Read through professional profiles for information on qualifications, experience and services provided.